So last Saturday (September 27,2014) I was invited by ms. Kaila Ocampo to visit their mini workshop at the TLC Festival in da Fort, and I immediately took the opportunity to do so and it was a saturday well spent! 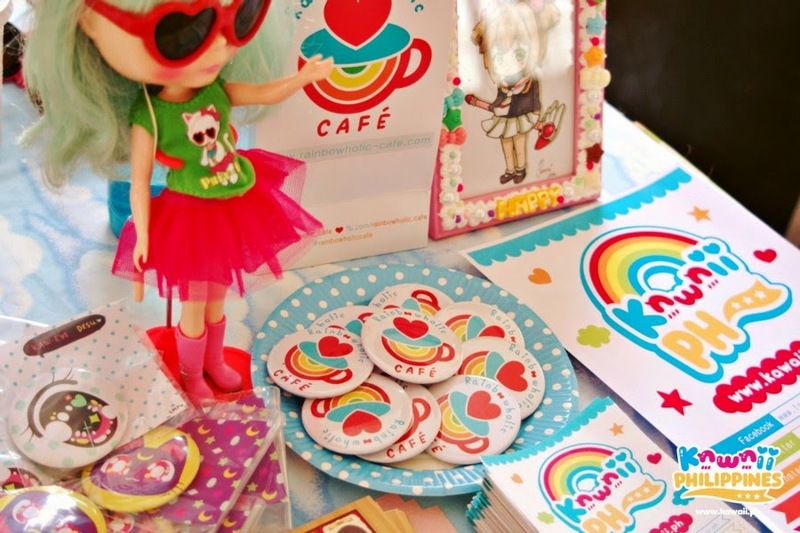 The Kawaii PH team were super nice and accommodating! our meeting went well and I was able to bond with Ms. Kaila for about… 4 hours I’d say~ and it was really fun talking to her! she’s such a nice person and even without blogging, still very inspiring! I was able to chat a little with the great artist Ms. ChiChi Romero as well! but before we get into those details, here are some photo’s of what the booth looked liked during the event! Everything was just so cute I wanted to take everything home!! 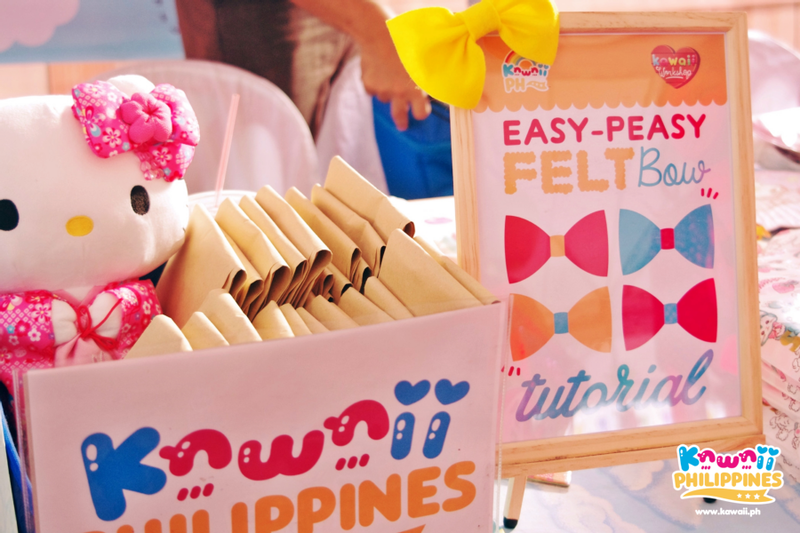 the mini workshop was… Felt Bow Tutorials! the event started 4 pm, but I arrived a little past 6 pm, so some of their items were already gone, ms. Kaila suggested that I do the workshop, and she said I can pick any pin I want from the giveaway when I arrived *^* in the end I did the workshop, and ms. Kaye Romero was super cute in her Lucypop x Rainbowholic uniform! she taught me how to make the ribbons! Here's a photo of ms. Kaye teaching someone how to make Kawaii Ribbons! Chilling with the Kawaii Masterminds! so we left Ms. Kaila and Chichi behind the table to be interviewed while I took pictures! after a few more minutes of chatting, ms. kaila told me we will take pics, and I said yay! then realized she meant at the event photobooth! she said we’re the only ones who hasn’t taken the picture yet and we did! aaannnddd… there was this awesome balloon dance show and they were giving out so maaany cool balloons while performing! in the end, I was chosen to receive the greatest balloon hat, and everyone borrowed it to take pictures! And that’s it for my first ever post!